A Straight to the Bar Guide. Welcome to Google+, it's great to see you here. Here's a quick guide to getting you up-and-running in just a few minutes - that's really all it takes. 1. Fill out your profile. It's all pretty straightforward; and the benefit is simple : parts of your profile are shown on various parts of the site (typically when someone hovers over your name in a post), and it just gives people instant assurance that they've got the right person. It also gives you a chance to present yourself the way you'd like to be seen, and to mention any projects you're currently working on or promoting. 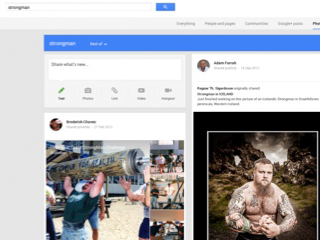 NB : Photos really stand out on Google+; be sure to add a couple. Particularly the large one at the top. 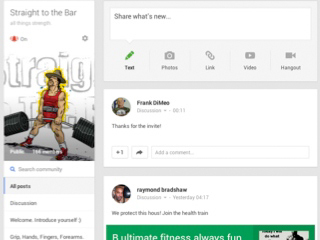 Straight to the Bar Community on Google+. Straight to the Bar Gymchats. 3. 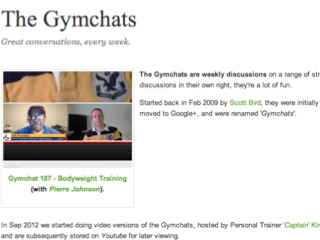 Watch some of the previous Gymchats, and suggest topics / interviewees. Volunteer to be interviewed on an upcoming show. 4. 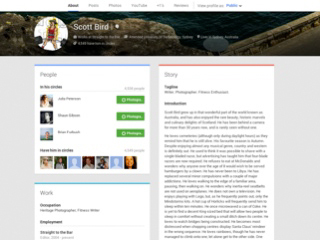 +1, share and comment on other posts, by people you admire and on topics you enjoy. It's the quickest way to encourage that other person to come and check out your profile, and your site(s). NB : Across the top you'll see various types of searches - this one's for Photos. And finally, ask questions. If you're ever not quite sure how to do something, just ask. 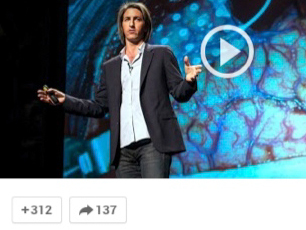 You'll find some incredibly helpful people on Google+. Look forward to seeing you there. Welcome.